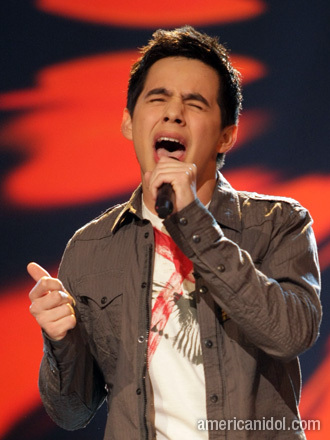 David Archuleta Declared Unitedly to be "The Best Singer of Season 7 - Right Here"! American Idol Season 7 Grand Finale! What is David Archuleta of American Idol Season 7 Doing Now? Update: David Archuleta is doing his first solo concert tour. Great news for American Idol fans! Those Archie fans are a rabid bunch. General ticket sales started today for many of the dates on David Archuleta's upcoming solo tour, and they're going fast at some venues. Reportedly, the 1,500 seats at Chicago's House of Blues sold out in 15 minutes this morning. Great news for David Archuleta fans -- David Archuleta has signed a record deal! David Archuleta is also spending his time doing interviews and performing on television, making appearances, signing a lot of autographs, etc... Best of all, for David Archuleta fans, is that he is getting ready to go on tour with the Top Ten American Idol Finalist in concert - this Summer! Also, make sure and check out Kelli Baker who was found in Salt Lake City, Utah, during auditions for the popular television show, "So You Think You Can Dance". Kelli Baker is a great artist. I don't know yet, if she is a Mormon, but I am hoping to find out soon. Either way, Kellie will be really enjoyable to follow throughout the season. She will definitely go far. You will never believe who her mom is? David Archuleta fans, of course - will be so disappointed with him not winning the TITLE of "The" American Idol Season 7, but there is no question that David Archuleta BEAT THE COMPETITION! David Archuleta walked away from last night's final competition as the clear winner according to all three professional judges. No one can ever say - that all three judged did not think the wrong guy won the title. David Cook is very good, but as I said... last night he paled in comparison to David Archuleta. David Archuleta on the other hand, is a Star! He is the kind of talent, like what an earlier poster felt... is most likely too good for American Idol. Regardless, American Idol gave us all the opportunity to meet David Archuleta. I am thrilled for David Archuleta. David will not be bound contractually with anyone and will be able to pursue his career as he directs it. There are probably more advantages to not winning the actual title of American Idol... and David Archuleta will no doubt capitalize on his second place position. I am more than proud to have followed David Archuleta over the past few months and will continue to do so as he branches out into his amazing future. It will be interesting to see if David Archuleta steals the show like he did last night when standing by the side of David Cook at this Summer's American Idol Concerts. I think it would be great to see American Idol Season 7 in their American Idol Live tour this summer. David Archuleta makes it worth going and seeing this summer Idol Concert. But truly, this is the best top 10 that American Idol has had. Congratulations David Archuleta! You are the winner of American Idol Season 7 in all of your fans hearts! Way to go ArchuAdorable! The million dollar smile, eh? Like David Archuleta said of last night... no one can take that moment away from him -- Winner! MAKE SURE AND BUY YOUR TICKETS ONLINE FOR THE AMERICAN IDOL LIVE CONCERT THIS SUMMER IN YOUR CITY. TICKETS ARE ON SALE NOW! Read more about David Cook American Idol Season 7 Winner here! According to Simon Cowell, "...this show is about finding a star and tonight i think we have witness one of the great finals... but here is the good news, and in my opinion David, you came out here to win and what we have witnessed, is a KNOCKOUT!" This was unquestionably the consensus of all three American Idol judges at the end of the night’s competition. Simon Cowell had the last and final words -- and truly, he put the period on American Idol Season 7. The other David, could simply not even hold a candle when competing side-by-side with David Archuleta. It was a brilliant night for David Archuleta. For both David Archuleta and American Idol, this will no doubt go down in history as one of the most spectacular nights in T.V. History --- when a Star that was born - became a Star for everyone on American Idol Season 7. Now, this does not mean you can relax and only vote once... no! You must vote until your fingers fall off! What a party all David Archuleta fans are going to have tomorrow night! Yeah! I am so glad that I joined the David Archuleta fan club. 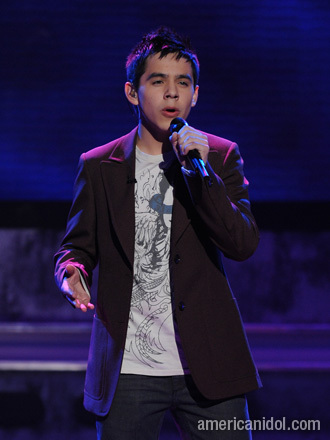 David Archuleta on American Idol - DAVID vs DAVID in the Final Two! David Archuleta heading into the American Idol Finale! 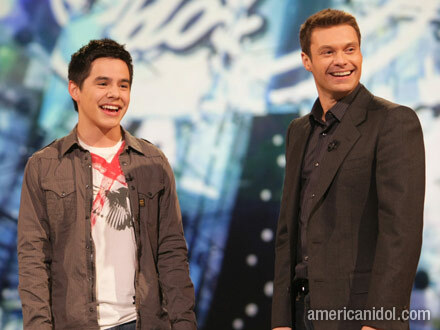 David Archuleta versus David Cook in the Final Showdown on American idol! With all of the attention that David Archuleta has been receiving because of American Idol, the LDS Newsroom has just released an article about "famous Mormons" and I thought many of you would be interested in reading it. Not all Mormons are the same, of course... and for those who find themselves in the mainstream of celebrity - they each will deal with it in different ways. David Archuleta has been a wonderful ambassador for The Church of Jesus Christ of Latter-Day-Saints - and still maintains his complete individuality. David was recently asked about his future and if he is planning on serving a two year mission for the LDS Church. His response: "I already feel like I am." This tells me, that David Archuleta is very conscious about how people see him in connection to the Mormon Church. Like Donny Osmond, David Archuleta has the ability of touching many many people with his music and the light which he radiates as a person through this venue. Donny Osmond was too popular when he was eligible to serve a mission as a young man... He too, felt his music was his mission for the LDS Church. Thanks David, you are a phenomenal missionary for the LDS Church. Okay all you David Archuleta fans who can't wait to see him in concert - here is your opportunity to get your tickets online now - and before the general public - DO IT! PRESALE TICKET PASSWORD HAS BEEN RELEASED! As predicted, Syesha was voted off of American Idol. David Archuleta was in the "ZONE" tonight! I don't think David Archuleta could possibly have performed with more perfection - than he did in tonight's American Idol Competition! HOT is what David Archuleta puts out! He gave it all tonight and no doubt he will make it into the final two on American Idol. Paula Abdul chose a song for David Archuleta, which was originally done by Billy Joel - "And So It Goes". This was a masterful choice for David Archuleta! He was sheer perfection. Paul wanted to showcase David's amazing vocals, and it did just that! David said he was really excited to sing the song choice given by Paula. Really this was a spectacular performance by David Archuleta tonight, on American Idol. David chose his next song - " With You". This was really fun for David's younger fans. It was really great to see David Archuleta sing a song that would definitely appeal to a younger audience. I really enjoyed seeing and hearing David perform this number. Call it a "triple" play tonight. Next up... David chose to sing a song made popular by Dan Fogelberg - Longer. David sang this song superbly! Interesting - Simon Cowell seemed to have nothing really positive to say to David Archuleta tonight. Maybe I am the only one that throught this? But when Simon "announced" David Cook as the "winner" for the night - I thought... "What the heck"? There is NO question that David Archuleta was the clear "winner" at the end of the night on American Idol - tonight! So I am just wondering if anyone else is a bit suspicious as to Simon's intentions tonight? I really think David Archuleta was very smart in his line-up tonight. It almost seemed like, with each of David's song choices tonight, that he was appealing to each facet of his fan base. Way to go David. We will definitely see you in the final showdown on American Idol! David Archuleta Goes Home to Salt Lake City, Utah and It Is EMOTIONAL! David Archuleta "Day" In Utah! Murray High Fans Screaming in Support For Fellow Mormon Kid! A Great "Day" for David Archuleta in Utah! David Archuleta revels in a group hug given him, by Murray High Cheerleaders! LOL What teenager wouldn't? American Idol Tour Tickets Will Be Available Online! See David Archuleta LIVE! The American Idol Tour, featuring David Archuleta, will hit the E Center in West Valley City on Monday, July 14, at 7 p.m.
Tickets, ranging in price from $39.50-$68.50, will go on sale Saturday, May 17, at 10 a.m. at all Smithstix outlets and the E Center box office. Tickets will also be available online at ticket outlets such as stubhub -- for convenient purchasing. The American Idol Tour will be coming to your hometown too... so be sure and check it out! Here is what Bethie had to say about "David Day" - she was there! I live in Salt Lake and yesterday there was a 2-hour special on the local FOX channel about "David's Day". It's such fun to watch him. He is so REAL. I believe he will win "Idol" and become a national star, kinda like a "LDS Elvis". He will be a great ambassador for the Church, just as the Mormon Tabernacle Choir has been. Like he was asked yesterday, "will you serve a mission? ", he answered innocently and truthfully, "I feel like I already am!" David Archuleta Goes Home to Salt Lake City, Utah! American Idol News Update - Just in: Apparently David Archuleta's dad has been banned on American Idol! Yesterday was a big big day for Utah! American Idol, David Archuleta went home to visit his old friends. 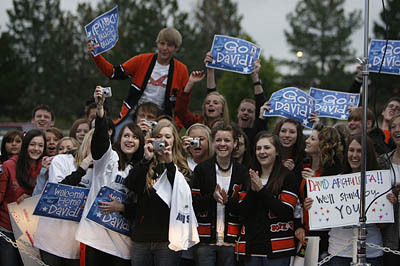 David Archuleta attended Murray High School and his friends, now fans - came out screaming in support for David! 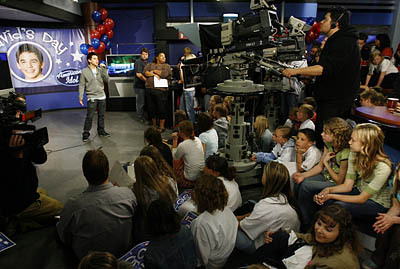 There is no doubt that the state of Utah, believes that David Archuleta is the next American Idol on Season 7. David Archuleta spent his day of celebration wearing his always "ArhuAdorable" grin! Humility - seems to be "signature" David Archuleta. David Archuleta is always overwhelmed by the responses from his adoring fans - to what he does, so well! David Archuleta really enjoyed a true "heroes" welcome home! Fox T.V were there to orchestrate this entire event. We will be the recipients of what Fox puts together on this coming week's American Idol. But this was big! A lot of fun, and a truly genuine love-fest for David Archuleta and his faithful fans of Utah! Utah is considered "Mormon" Country! Where else would David Archuleta receive such a warm response? Well, a lot of places actually and not just by the Mormons either. Remember, membership in the Mormon Church is at about 13 million "world-wide", nor can they all vote! LOL So, they don't all live in Utah! 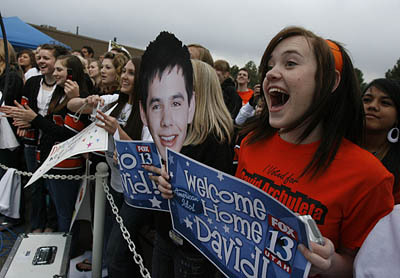 David Archuleta has oodles of fans, that are not Mormon. The facts actually are - that the majority of David Archuleta's fans are not Mormons. Let me debunk one other thing... Mormons are not voting for David Archuleta just because he happens to be Mormon. This is really kind of offensive to most Mormons from what I am hearing lately. We acknowledge the fact that David Archuleta is a Mormon... and of course, Mormons love that:-) But there have been quite a few Mormon contestants on Idol over the last few years.... and "they" were not voted in by the Mormons! LOL They come - they go... but David Archuleta is just different! David Archuleta was brought up as a Mormon boy. If you have MODAR - you could easily identify David Archuleta as a Mormon very very easily. In fact - people were asking about both Brooke White and David Archuleta "before" the facts were known. Many people believe, who are "not" Mormon... that you can just tell when someone is "Mormon". David Archuleta wreaks of Mormonism! Whether you are a Mormon fan, other some other type of loyal David Achaleta fan.... we are all his fans and wish him the absolute best luck on American Idol this coming week! "DAVID ARCHULETA IS IN THE FINAL SHOWDOWN ON AMERICAN IDOL AND IS EXPECTED TO KILL THE COMPETITION!" Do you guys like that? David Archuleta On American Idol - Top Runner! 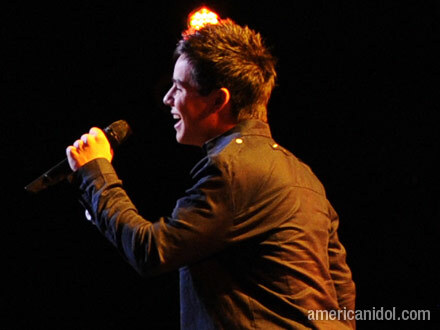 David Archuleta, singing his heart out to America! 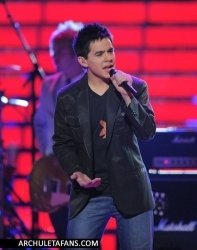 David Archuleta On American Idol - Rock N Roll! Well... no big surprises this week on the American Idol results show. Remember that website, Zabasearch.com? The website that guesstimates the American Idol voting results? Last week - they was all wrong. This week - that actually got their Internet polling information - right! 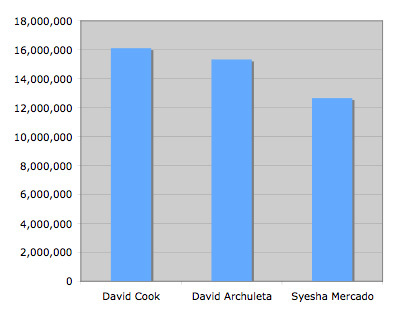 David Archuleta received the most votes by text and phone calls following this weeks American Idol competition. As expected - Jason had the least and he was voted off. Funny thing... relief, yes - relief is the only word that comes to my mind after watching the results show tonight. No doubt, this is exactly what Jason was feeling. Quite a different night on American Idol, from last week's result show. Like - almost a party feeling. Weird? David Archuleta is now in the top three on American Idol. He is exactly where he has been dreaming of being. Next week on American Idol, will determine the final two to go into the last showdown. 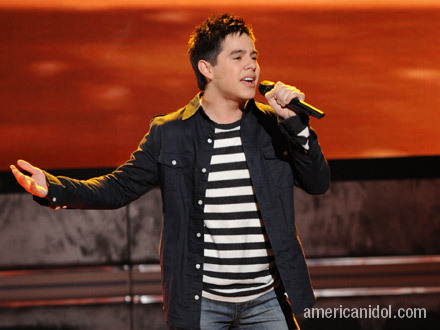 David Archuleta, in my opinion, has been the most solid and consistent of all the contestants in American Idol Season 7. That has been, in past idol seasons - a pretty good situation to find one's self in - going into the last few competitions. Next week is going to be really exciting. No doubt, David Archuleta will once again here the word "safe" next week... heading right into that final expected battle - of the Davids! This week on American Idol - it was Rock n Roll week! David Archuleta sang two numbers.... and with that, "Crushed The Competition" according to Simon Cowell! David Archuleta started out the evening by performing "Stand By Me" originally recorded by Ben E. King and nailed it! But that wasn't enough... David Archuleta had to go and literally "crust the competition" by doing his rendition of The King, Elvis Presley's "Love Me Tender"! Although David Archuleta sounded smooth as butter - he was deadly when it came to making sure that he remained on the top of American Idol! There is absolutely no doubt that David Archuleta will be sitting on top at the end of tomorrow night's results show on American Idol. Mormons who continue to support David Archuleta - should be very happy with how he has performed weekly. David is as solid as a rock - so solid, that like I said before, he crushed the competition. Jason was horrible. I expect him to be voted off this week. David Cook was just not himself tonight. Syesha gave it her all and shined like never before. But David Archuleta was amazingly ARCHU-ADORABLE tonight. Like Elvis Presley... David Archuleta had the girls swooning tonight. His big smile and those cutie-pie dimples were just perfect for his performance of "Love Me Tender". It was a great night on American Idol for our Mormon boy - David Archuleta! David Archuleta "Final Four" On American Idol Tonight! David Archuleta has worked hard and nailed his performances each week - making his fans proud. David is as smoooooth as butter and we all expect David Archuleta to slide right into the final showdown on American Idol Season 7! So much for Internet "polls"! They might have been right in predicting who got the most votes, but definitely not for who got the least. This week, on the American Idol results show - David Archuleta's Mormon companion was voted off the show - Brooke White. At one point, it appeared as though Brooke and David could have met in the final showdown. 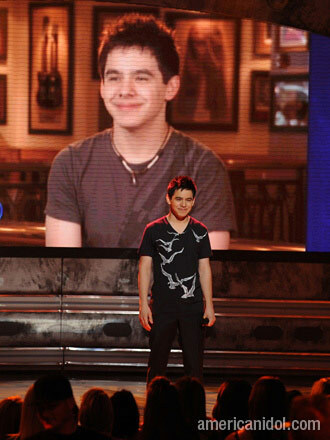 As the show has progressed though, it is now evident that David Archuleta's main concern is David Cook. Since the online polls apparently were not accurate on guessing who would be voted off this week - I don't intend to give it the credibility that it has taken to determine who got the most votes either. This year's American Idol winner could go to either David Archuleta or David Cook - and right now - it is all speculation as to how this will all play out. One thing for certain - David Archuleta is safe safe safe and now we are down to the final four on American Idol.... whoopee! Way to go David Archuleta! Syesha received the fewest phone and text votes following the April 29 performance show. David Cook received the most. Still, we will wait to find out on the official American Idol Results show tonight - who, has been voted off! David Archuleta sang two of Neil Diamond's greatest Hits. David began the evening with the upbeat song of "Sweet Caroline" and then brought it home when he sang "America"! Randy continues to proclaim David Archuleta as "da bomb"! Really, who can argue that, eh? When David Archuleta finished singing Neil Diamonds hit "America" - the judges in rapid succession fired off comments such as "Brilliant" - "Perfect song choice" - "Smart" -- and Randy noted that David Archuleta was "in the zone"! Sounds pretty good to me... I wasn't too happy when Paula said she felt that she was looking at the next Idol, when referring to David Cook tonight. Although, I agree that it will be the two Davids that will battle it out in the finals. I think what we may have been hearing was simply Paula's personal preference. Personally, I love both Davids and will have seriously a difficult time making a final decision. The "Davids" are just so different and yet both are brilliant performers. Check this out for more information about the potential battle between the two Davids! See you tomorrow night following the American Idol Results Show. Enjoy both of these videos of David Archuleta's performances. David Archuleta "When You Believe"
David Archuleta Is Top American Idol Contestant! David Archuleta melting hearts with "Angel"! David Archuleta, singing his heart out on "Smokey Mountain Memories". 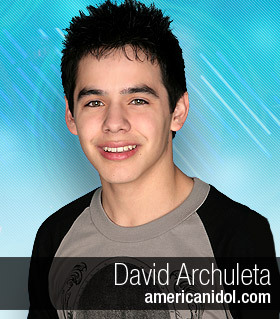 Davd Archuleta of American Idol Competes Again and Now With The Top Five - Remaining. Here we go again... the top five will compete again tonight on American Idol! David Archuleta continues to be flawless. I recently read that those who have grown up around David Archuleta, really were somewhat oblivious to his musical abilities. Apparently, this is because of his shy nature. On a youth trip with the Mormon Church, it seems that one of his closer friends was prodding him to sing, and this was somewhat embarrassing for David, because most were not aware of his very developed talent. Kind of funny isn't is? In his own hometown, for the most part - he is just David Archuleta - nice guy. Lets hope that when this is all said and done, David will still have a place, to be just "David Archuleta". It was really great to sit down today and watch the performance on the big screen (home t.v.) and really absorb the whole idol experience. Randy was once again, all about David Archuleta being the boy to beat! No doubt. I am sure we will see the two Davids as I have said previously, in the finals. I continue to have a difficult time even comparing the two of them against one another. David Archuleta and David Cook are absolute polar opposites when it comes to styles in music and personality. One one hand we have David Archuleta, who is the epitome of humble in every situation; and then we have David Cook with his masses of confidences, which alsways seems to convey that he knows it. As well as years a part in experience to boot. This is what brings me back to David Archuleta and his amazing raw talent for such a young person. He has been so refreshing as an entertainer to observe this season on American Idol Season 7. Can you imagine what David's abilities will be in ten years from now? If we could turn the clocks forward and stand David Archuleta next to David Cook at same ages, what do you think we would have? I think this is the question we should consider when we even try to compare the two David's. So maybe it is not a battle against two equals, but really the hands on a clock that we cannot really foresee... yet. Both of these Davids are a joy to watch this season as they both show their amazing gift and talent weekly! America will decide what they want in their American Idol, and either way it goes - we will have an American idol to be proud of! I continue to be moved by David Archuleta's gift of music and personal character, which he displays with such grace and at such a young age. David Cook received the most phone and text votes following the April 22 performance show. Carly Smithson, Syesha and Brooke White received the fewest. Carly goes home. Syesha goes on. The way things are now - they only designate a "bottom" two - of which were Carly and Syesha - Carly being voted off American Idol this week! David Cook hold the Internet polling "first" place right now, so David will need to really come out next week and take it right back! This is really fun.... Definitely a battle of the "Davids"! 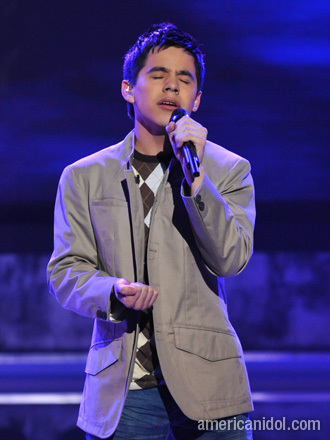 David Archuleta performed Andrew Loyd Webber's song" When You Believe". The judges gave mixed reviews. It is up to the voters to decide what you think about David Archuleta. If David's fans remain loyal he should have no problems with returning and continuing on to the finals. It seemed as though, American Idol wanted to know just what David Archuleta is really all about... On tonight's result show - Idols went from seven to six finalist. Ryan Seacrest brought out from the back each of the seven contestants one at a time. 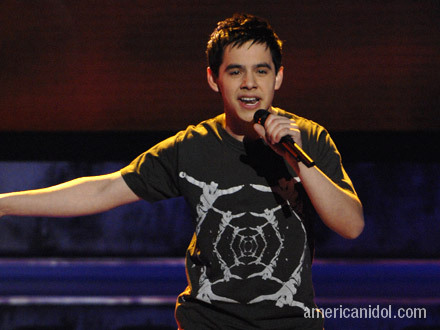 The first six were divided into two groups of three each... and then - Ryan called out the last contestant, who was David Archuleta and announce that David Archuleta was and is - safe. Ryan now invited David Archuleta to go and join one of the two groups - and to pick the one that 'he' thought was safe! Uh Huh? So, what did David do? Where do you think he went? Brooke White also had her own moment, while in the bottom three to show who she really is - and it was also a classic moment for this viewer who already thinks the world of both of these Mormon kids. Congratulations David Archuleta! Next week is going to be awesome. Andrew Loyd Webber is the mentor and the Idol contestants will of course, be singing some of the greatest performance songs ever written. David was simply - THE BOMB tonight on American Idol. When David Archuleta finished singing his version of Mariah Carey's ";When You Believe"; - it was if the judges knew - that they had heard the winner of American Idol. I agree with other's who feel that we are looking most like towards a final showdown between David Archuleta and David Cook. The Final Showdown Is Heating Up With David Archuleta and David Cook As Fearce Competitors! Video for David Archuleta sings ";When You Believe"; here below NOW! David Archuleta, Who is Mormon -- Wll Compete Once Again In The Top Seven Tonight On American Idol! Tonight on American Idol, the remaining Idol Contestants will compete again! Following the shocking results show of last week, when assumed serious contender to potentially meet up with David Archuleta in the final showdown - Michael Johns - was voted off. Michael Johns had up to that shocking announcement, never been in the bottom three. What message does that send to all idol contestants other than - no one can really feel very safe! With that said, David Archuleta continues to remain number one in the polls which are taken on the Internet. It also should send a message to those of us who are David Archuleta fans... to dial dial dial once again this week! If you have been splitting your votes prior to this week, but you really want to see David Archuleta win - I would suggest that you not do that anymore and give David your 100% loyalty. I look forward to enjoying another David Archuleta performance tonight on American Idol and will definitely be back to report on how things go and what kind of feedback David will receive from the judges. And as always... I will post the YouTube video of David's performance the minute it hits the Internet, which is fairly fast these days. Yes, David is a Mormon - Here is what you have been saying about that? Of course, the girls went wild! David remained calm and showed humility under the circumstances. He did not even acknowledge all the screaming... very classy kid. He was asked about performing with the piano? David said that he was glad he did it. Ryan then, simply announced - David Archuleta, is safe! Again, the crowd went wild... but this time, David had his ArchuAdorable David Archuleta grin going on from ear to ear! Great job David Archuleta. Great job his fans:-) You guys did an awesome job as well making sure your voices are being heard. David Archuleta had the best performance of the night! The judges loved his choice of song... which was &quot;Angels&quot; by Robbie Williams. 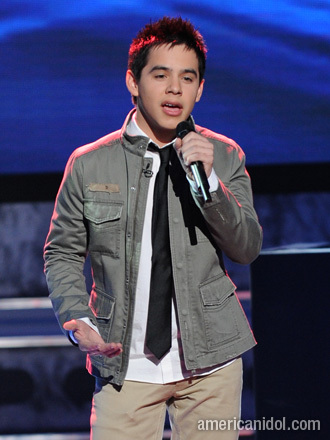 Judges said it was the best of the night, and that David Archuleta will sail into next week! David Archuleta fans everywhere are loving those words... but that does not mean that you do not need to vote! So make sure and vote and keep David in his top spot! He sang Angel at the piano and it was amazing! Randy was in awe of David's runs at the end of the song and felt that 'this' was pure David Archuleta. It was apparent by the judges reaction tonight, that David is most likely a shoo-in for the finals. David just did what David Archuleta does best... and that is - be perfectly wonderful! Again... David sounded like an angel when he performed tonight! Way to go David! Yes, David Archuleta is a member of the LDS Church, for those asking the question. Could this have anything to do with his outrageous smile and his adorable responses when anyone looks at him? I don't know any of that for sure, but I do know that David Archuleta came in number one in the polls last week, as the Top American Idol Contestant... for now! 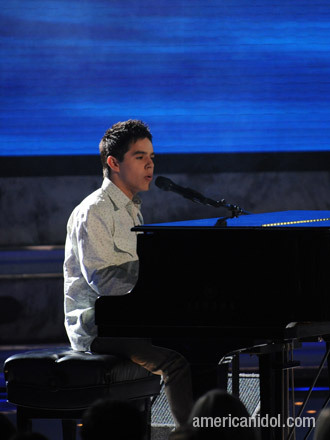 David Archuleta took back his number one spot following his sincere and warm performance of &quot;Smokey Mountain Memories&quot;. This was pure David Archuleta in ArchuAdorable form... melting every heart in the house! Fans of David Archuleta are waiting anxiously to once again, tonight on American Idol, see David Archuleta perform as only David can! I do not as yet know the theme for tonight's American Idol competition, so we will need to wait upon that information. For all you fans of David Archuleta - don't stop dialing because he is on top... winners must be consistent you know! So dial dial dial away those cellphones tonight guys! You go David! David Archuleta - Smokey Mountain Memories Was Smokin HOT! Who Cares IF David Archuleta Is A Mormon? What Does David Archuleta Being A Mormon Have To Do With Anything? I have been checking out some of the more popular blogs on American Idol and particularly, (duh?) interested in those that are discussing David Archuleta and the fact that David Archuleta is a Mormon! Who cares? "Brooke and David are judged based on their ability to entertain and their talent. We're in a new age now where religion and race form no boundaries. The thing Americans think about when they vote for their favourite contestant is how they performed, not their personal beliefs." Now, does this sound reasonable to you as well? At first read, I thought, okay - I can buy that.... NOT! Let us reason together on this one. In fact, I am going to give you and those entertainers who deliver exactly what YOU want, a little more credibility! The music we choose to listen to, and even buy... is actually revealing about what we want to say to others! When we choose or "vote" for an Idol or a song, artist, whatever... are we not really picking the "messenger" behind the song? David Archuleta Mormon - Smoking Mountain "Memories" Glorious! Paula said it was GLORIOUS! Does it really get any better than this for David Archuleta... yes! All three judges agreed tonight about David Archuleta's song choice of "Smokey Mountain Memories". was hot! But, yes - all three judges felt that tonight's performance for David Archuleta, and his song choice of "Smokey Mountains Memories" - was the best performance of the night - on American Idol. David Archuleta did exactly what he needed to do tonight in order to keep his front running position in what is one of the toughest competitions on American Idol. This years top ten finalist are very talented and each week brings out a new surprise. But tonight's performance on American Idol, has no questions - sealed his spot for another week - on TOP! OKAY... I've got the scoop:-) The Prom Update and David's 'girl'? What we gather at this point - IS - that maybe.... I said MAYBE, the girl sitting next to David's dad IS the GIRL he wants to take to PROM! More research is necessary, for all we know it was his SISTER! About the "PROM" girl and the date... Apparently, American Idol may have set David up on this one. They asked David to bring a 'friend' to the American Idol show, that was a 'girl'! And then.... comes the questioning and the camera shots of this girl? Is it his girlfriend? I don't have that confirmed. But MTV did an interview on David Archuleta's High School campus a month earlier... guess who they interviewed? American Idol Mormon, David Archuleta sang You're The Voice! On American Idol tonight! Randy and Paula were down with the performance although an unfamiliar song to both of them. I say... I enjoy it most when David sings more ballad like songs. I enjoyed the performance, but I am kind of with Paula and Randy on this one.... I want more familiar music and then I can judge with more confidence. But David is adorable and we love him and he is going forward on the road to most like the win on American Idol. Tonight is BIG! Top Ten finalist will compete... American Idol is now heating up the competition. Will David Archuleta raise his game even higher? Video will be available as soon as it hits the Internet - HERE! Along with reviews from the judges all of them. We will check out the blogosphere on David Archuleta as well and find out if he is remaining hot! Last Week On American Idol: Reports coming in from Hollywood, are that a Hurricane has STRUCK the United States... by the name of David Archuleta! David Archuleta is nothing less the the "standard" by which all other performances by Idol contestants are NOW being compared! Simon "says" that David Archuleta's performance of "The Long And Winding Road" was masterful! In other words... sheer poetry, or the finest of the fine arts in music! Now... that is big! David, as usual.... smiled as only David Archuleta can grin the David grin:-) Paula could not help herself... and gushed all over David - as she described his purity and show of character as a person and performer in how he returned this week and even took and raised his own bar! Randy started off the judges comments by losing all composure where David is concerned and declared wildly that David's hotness was in the house! Yes.... it was a good night on American idol for David Archuleta... But of course - LdsNana-AskMormon knew it would be. A guy like David Archuleta is predictable and that is what we depend on... those of us going the distance on the long and winding road with David! Well done David... you are true to who you are and why people continue to keep watching and listening. Last Week; Idols sang Beatles songs this week, which left David Archuleta with the need to work it out before next week. Because David is not going anywhere! He is stying on top where he belongs. Consensus on the blogs right now following Davids performance of"We Can Work It Out" - is that , this must be his theme song for the next week! Everyone seems to have plenty of confidence in him still. But.... if you saw Chekezie tonight... David better raise his bar! And we know he can! Come on David... we are all pulling for you man! Last week Paula was happy to know that David Archuleta was fallible -- a note off! What ever! Just about the time you think it could be the year for a Mormon Idol, who is a woman... enters in, another Mormon Hottie, who just happens to be a guy! American Idol David Archuleta - A Mormon Hottie! Sweet Seventeen Has Rarely Seen This Kind Of Talent - David Makes You Stand Up! American Idol Top Ten Finalist Perform Tonight! Mormon Youth, Brooke and David Are Awesome On Idol! Okay... you are on to me now! These kids are Mormon and this LdsNana is a sucker for the youth of the LDS Church. I am killer proud of these two, that have made it to this point in the American Idol jouney to fame! Not that I am necessarily pulling for them to get famous, because I am not so sure that is the best life for anyone. I am just excited to have two really good kids, with strong moral values have an opportunity to share that part of themselves with so many. As some of you are aware, if you have read my Hub about the Mormon youth... I am inspired by everything about them, when they stand so all against the popular currents of the day! David On American Idol... Working The Judges And Breaking Some Hearts! David Archuleta Might be American Idol's Best Yet! HEADLINE: "David Archuleta Might be American Idol's Best Yet"
Nice Mormon Hottie boy, inspires betting across America! Who knew? Not me! Well, I won't throw any money down for a guess between David Archuleta and Brooke White, but I would say that the odds of both of them doing quite well on American Idol are definitely high! Girls All Love Idol Archuleta! IMAGINE... David Archuleta and Brooke White In A Showdown? Whoa! American Idol Showdown: David Archaleta versus Brooke White! What will members of the LDS Church do? How will they handle a division of loyalties? NO... I just can't go there right now! Let's just take this week by week for right now.... alright? We will cross that bridge when... I mean IF, WE come to it. But... can you imagine it? This could be BIG! Just Another Mormon Idol... American David Archuleta? American Idol Contestants Just Having Some Fun! LdsNana Just Having Some Fun With David And Brooke And American Idol! Mormons Can Have Fun You Know? Well, maybe you didn't know! Forgiven. For those of you, who would like to have a little fun too... following both David and Brooke along the Hollywood trail... and partake of the drama of American Idol - hang with me for the next few weeks! Not only will we have fun, but I honestly believe that you will get to know Mormon youth and just what they stand for.... way better than I could have ever shown you all by myself. So... David - like I told Brooke... LdsNana-AskMormon is watching you and wishing you the best! I promise... this will be FUN! Ask Your Question About Mormons, Here! Is David Archuleta Just Dreaming or Is He Living Reality? YIKES.... LdsNana Along With Paula Has FALLEN! This Mormon Hottie May Very Well, Be Unstoppable! Shall we all just watch and see... oh, are you in now too? How Can They Say Mormons Are Not Christians? What Is This Comparison Between Mormonism and Christianity All About Anyway? Priesthood and Keys 101 according to Mormonism. HOW CAN THEY SAY, MORMONS ARE NOT CHRISTIAN? WHO GETS TO DETERMINE MY RELIGION? Ask LdsNana... What's So Different about Mormons? The Most Correct Book Of Any On Earth... Have You Read It? Mormonism: Questions And Answers About The Mormon Church; Beliefs, Practices, Doctrines, etc.. Ask? The Next AMERICAN IDOL WINNER Must Pick The Right Song! American Idol Contestants Must Choose The Right Song! YOUR MUSIC - HOW IS IT AFFECTING YOU? If you enjoyed this hub, please give it a thumbs-up:-) Thanks. I would also like to acknowledge all those throughout the American Idol season, over on You Tube, who have made these videos available so close following the competition performances. Also, thank you to americanidol.com for the great photos, that for the most part are the pictures that I have posted of David Archuleta. 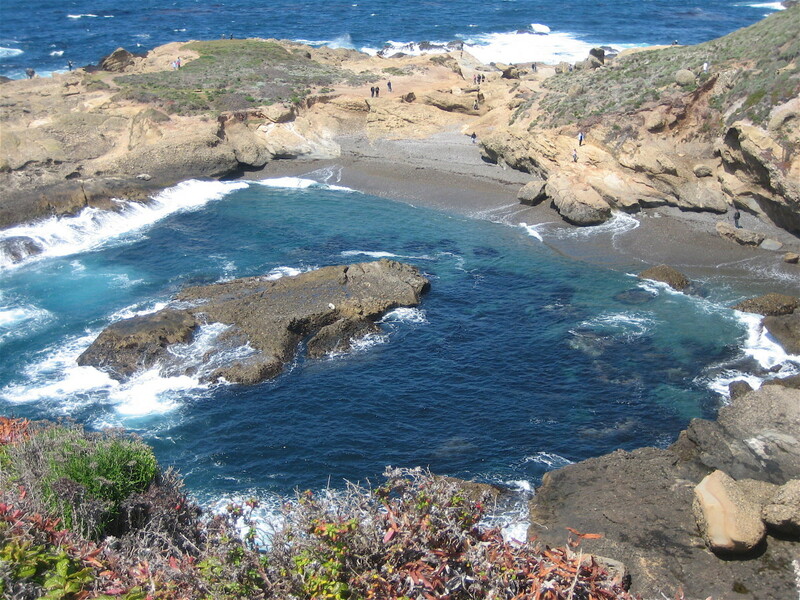 California Overturns Gay Marriage Ban - In An Outrageous Move According to Voters! What is "The American Idol Experience" at "Disney World" All About? David Cook LIVE - American Idol Concert - Buy Tickets Online - Concert Schedule! David Cook WINS American Idol In A Surprise Final Round BLOW! 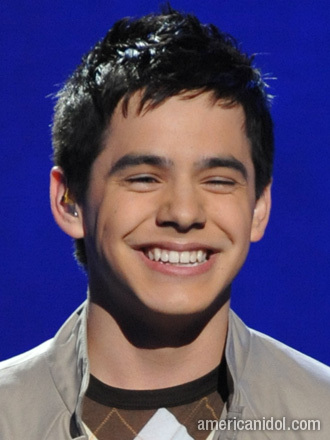 What do you think about David Archuleta going into the finals against David Cook? oh my gosh!you're really humble!! !you're down to earth!!!! then, one day at cschool...i met my schoolmate Francis..
he told me things about the church..
thanks a lot to you!!! im a mormon now,....and is proud to say that im an active member of our own TRUE CHURCH...thank you!!! wish you all the best brother! thnaks a lot Brother David..
What a thorough and interesting job here (as always, Nana). I also just put up a site about David being Mormon -- http://www.davidarchuletamormon.com which I'll be expanding too. Haven't seen any hubs lately from you--hope more will be forthcoming! I'm sure you're a great person. I'm very flattered. Thank you. I am a latter-day saints from philippines,iligan stake i hope to david that he achieve all things but thy dont forgot our church i know if have faith in God he can do all things. Not me i think nobodys love me as i am now i know someday also me like want to be as david achiever i want sameday that there are a lot of people that love me as like david archuleta. I hope someday if thier's anyone adopt with me I would think to God that there are parent who love with me at all? Hope that's you LdsNana. Thank you? I just had to stop by your page and read some of your content simply because I love David Archuleta. The boy is very talented and I apprecate your coverage on him. David Archuleta is lucky to have YOU as his FAN(s)! We are only ten but we love you and your music is our favoite and we don't really care if this is about hubs. We are also ........................... MORMON!!!!!!!!!!!!!!!!!! We love you so much so we went on google and found pictures of you and we kissed all over them with bright red lipstick. Love the hub. Thanks for sharing with me. His voice is amazing. Many of your youtube videos are not working any more. They have been disabled. I did get one to work, though. What a voice. Thanks for stopping by and taking the time to comment. This blog is about David Archuleta, who was runner up on American Idol Season 7 -- who also just happens to be a very typical Mormon teen. Well, kind of... David Archuleta is talented above the norm, but he is typical in his example of being a Mormon teenager. I really like that, and that is why I chose to follow David on this blog. I wanted to share with my readers, just how cool Mormon teens are... They have great values, and are brought up well. It shows too. David Archuleta is a good example of a normal Mormon teen. He is a good role model of other teens to follow. Being good, has great benefits, and more young people need to see kids like David Archuleta doing well in this world. There are too many negative role models in this world. Isn't it nice to see a positive young guy doing well in the world... and yes, I am focusing on his Mormonism in this way. is this article about David Archuleta the Mormon or David Archuleta the performer?..DA just did not have what it takes to win..As far as being a good missionary..well maybe that is more for him to do..I can't understand why you people talk religion and react as you do. The show is not about religion but talent and DA did not have what it takes to win American Idol. David Archuleta is definitely a talented kid. I like him very much. But to be objective, I think David Cook has some edge on the voice quality. At least for now. Soon? Who knows . 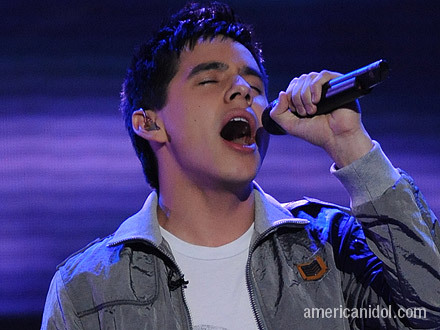 . . Archuleta is only 17 years old! Cool =] Thanks a lot. Thanks for sharing. Just so &quot;you&quot; know, there are many people just like David Archuleta in the Church and throughout the world. You should head on over to lds.net where you can meet tons of young people just like yourself from all over the globe drawing strength from one another. It is tough to stand tall in what you believe when so much in the world mocks these teachings. Nonetheless, you can do it and developing a strong support system is really important. Look, David Archuleta has been sort of a missionary for you:-) Now that is cool. Keep up the positive attitude and seek out those more like you. If not in New Zealand, then online you will find them all over. I've never seen such a humble and nice person. People like that are hard to come by here. Dunno why. But it was touching for me to hear his voice and to know that he is strong faithfully. There was something about him that made my heart reach out. I was brought up in the church, and until recently, I was &quot;on the fence&quot; so to speak, about what I really believed in. But knowing that there are people like him out there, made me believe and trust that what I know is true. I havn't really said any of this to anyone, because I never thought anyone would really want to listen. =] So thanks. I hope he can serve a mission as well, even to New Zealand. David did say that he felt he already is serving a mission right now. Perhaps he is... Many people have had very positive feelings when finding out David Archuleta is a Mormon. He is a good example. David A was good but so very boring and rather imature in his song choices. it does not make him a bad singer it just makes him grow from where he is at this point. Watching his performances you can see the lack of originality and the songs sound the same. I think he will do well in disney programs and it would be good if he sang with the Osmonds. I think you are more right than I was in my review:-) I was watching some commentary on the American Idol season wrap-up. Apparently the entire viewing audience of American Idol has evolved. Whereas it used to be the younger people watching and voting, now the average viewer is probably approaching 40. That fact, would support a longer and more positive future for David Cook. The 12 million more votes can't hurt either. I have to disagree with you on David Cook - I do not think he is only a flash in the pan. I think he will also go on to be successful in the long term. It all depends on the marketing - really. How the label chooses to market the artist can make or break. Another factor that will also make or break a career is the style/genre of music the label has ther artist record. If it is not right for the artist, it won't work, no matter how popular the style is in the world. If its not a fit, it won't sell. I will say I am a HUGE Archuleta fan, but I am also a Cook fan. Cook was the most artistic and creative of any contestant in Idol history. He was just amazing in the creativity department. I believe he will go far because he is a true artist and he has great instincts with his music. I just hope they give him the right songs to sing and market him well. If that is the case, he will also soar. Overall, a great finale - and I agree with the judges - BOTH Davids are winnners!! That was a great finale all the way around, wasn't it? While I was hoping young David would win, I could not at all be disappointed that David C won. Not only were both of them winners last night, but everyone was. Just a fabulous cap to a great season. From David A's ballads to David C's rocking to Brooke's guitar/piano (and wasn't that duet with Graham Nash just fabulous!) I can't wait to see them on the tour ... we actually bought really close-in center stage tickets for two different cities! I feel like I could give this whole group one big group hug. Thank you for taking the time to comment and share your thoughts. I agree with you, in that both David A and David C get a long really well. I found it very difficult to like one more than the other. I liked both their styles of music, although different. I wish both of these great guys the best. I saw David Archuleta interviewed this morning on a local L.A. station. He stated that he was glad that DC had won, because he looks up to him like a big brother. This was the best AI finale ever and I don't think anyone really has a big issue with David winning:-) They are really both winners. Pheww... now that its finally over and DC won. This time the judges were wrong very wrong. I salute the American People to pick DC. He is versatile and took risk right till the very end. He did not re sung any of his hits songs like &quot;hello&quot;, &quot;billie J&quot; and many more he could have picked because he told Simon it is 'progression&quot; why sing the songs i have already sung. Although &quot;The world I know&quot; may not be the best of song vocally (not challenging enough) its a beautiful song all right. It was not even DC's best performance and Simon may be right in saying he screwed up picking up the right songs for the night. But DC showed one thing - he was there to entertain and not to win. I think that was why he won by a majority of 12 Mil votes of a nearly 100 Mil votes ! It was simply awesome. DA finally realised that he is just plain weak on non ballad songs. And all of his 3 songs were ballads ! Even Clive Davies picked a song that suit his voice and so as not to put him in any risk. Simon was again right in saying DA came to only to win. But the votes didn't. I am happy with the outcome I really do. And reading the interviews with both DA and DC, showed that they both have immense respect to one another - like brothers. Looking forward for AI8, I wonder if it can top this one. I totally agree with you. In fact, when they announced what DC had picked for his final song, and he did NOT choose to sing Billy Jean... I almost died! I was saying to everyone in the room that I thought then, that he had made a huge mistake. When Simon said the same thing I thought.... "oh no", for DC. David Archuleta was SMART to end with Imagine. Amazing. But I think I love his first song the best of the entire season. Oh my gosh, it was awesome. This has been fun. I wondered if perhaps the judges were attempting some reverse psychology on the fans and focusing on David Archuleta... thinking the DC fans would really do some voting??? Not sure, rumor has it that DC got 2/3rds more of the vote than our David! Who knows... we will find out soon! Keep those 'fingers' crossed all! I hope you got through on the phone lines last night. Can't wait to get the results of everyone's hard work. Cook seemed rather shocked and broken when hearing simon's comments on the final song, but i think reality set in and made him realize that he should have been showcasing his strengths instead of trying something &quot;new&quot;. The sun is going down on him and his odds of winning after last nights performances. Help!!! I'm voting for DA right now, but keep getting busy signals!!! For all of you who think we Mormons are all voting for DA because he's LDS; forget it! My hubby was a DC fan, and voted many times for him, but now he's a DA fan after tonight's songs, and is FINALLY voting for DA!!! Yeah!!! Does anybody know if it's OK to hang up before the recording finishes? Does it still count? I want to get off asap to allow others the chance, too! You have quite a lot of enthusiasm. I'm not so sure David Archuleta has the &quot;Mormon&quot; vote as you imply. Actually, David Cook has quite a few too:-) Mormon votes I mean. Thanks for commenting. May the best &quot;David&quot; win! You mormons need to mobilize!!!! If every mormon votes just 10 times DA will win for sure!!! Go DA!!! You're a gift! VOTE!!!!!!!!!!!!!!!!!!!!!!!! David Archuleta did such a great job tonight on American Idol! He sang two classic rock n roll songs and according to Randy Jackson - He &quot;crushed the competition&quot;! Thank you for taking the time to comment after reading the hub and the many comments which have been posted. I sincerely do appreciate your kind remarks of support, as I do my best not to contend, but to hopefully give a different point of view, in hopes of perhaps finding some understanding. Apparently I didn't post it right. I'll figure it out..? Here's a good pic of David and Brooke. Just thought I'd share it. Quick Comment-Apparently we're going to the results show thursday and not Idol Gives Back. My friend who lives in Pasadena got us the tickets. It should still be a good time, and I'll be back with a report. Adios! That is sooo cool! I hope you do come back and tell us all about your experience. What a blast! Season 1 of idol - I went quite a few times with my kids. We had a blast. I actually was sat right next to Simon Cowell during the taping of one of the shows. My daughters and their cute friends were always placed right up front. They loved Justin and Kelly:-) We all did! We had a great time. We met the families of the contestants and just had fun. We did not go to the final, but the show prior in the Kodak Theatre. We all have very fun memories of that year. My oldest daughter lived in L.A. at the time, so it was really easy to just pop on over and go to the show. Plus, because they got to know us, I could call the office ahead and let them know we were coming. Totally funny! Thank you also, for your supportive comments. I agree with your point. I am thrilled to say that I am going to actually be in the audience for 'Idol Gives Back' on wednesday, and I urge anyone who reads this to support this worthy cause. I'll be sure and post commentary on how awesome it was to see the performances, (hopefully including David's), when I get back. Excellent comments on the last post LdsNana! I think that a person and their beliefs are one package, and should be viewed as such. You can love David and Brooke for their talents, but knowing that their beliefs are in line with your own only adds to their appeal. The contrary would also be true. For example: If you knew that someone was a racist, but still a good singer, would you feel good about yourself in supporting such a person? (not about anyone). To be an 'American Idol' you have to personify more aspects than just those of a good singer. Luckily, my favorite, David A. personifies the beliefs as well as the talents that I look for in an &quot;Idol&quot;. Thanks. I saw David for the first time this week and I only have one thing to say... American Idol does not deserve David! He has the most amazing voice I have ever heard! Even Simon can't deny that! Thank you for your comments in regards to being careful about speaking 'for' David or Brooke about their Mormonism. It is good counsel. I don't believe anyone here is speaking for either of these two American Idol contestants in a personal manner, regarding their actions as Mormons. Most who come to my blogs about both Brooke and David; come through Google or Yahoo, etc.... and they have specifically searched - using one of their search words as 'mormon'. Many nonmembers have heard that Brooke and David are members of the LDS Church; and because of that one fact - they search to verify this and possibly know more about Mormons. Recently, Elder Ballard invited members to get out on the Internet and speak about the Mormon Church. This is to better educate about Mormonism. There are far more websites that are critical of Mormonism than those giving out credible information about the LDS Church. I am sorry if you feel I have crossed the line in some way, but I am very comfortable with the work that I do here to be a postive voice for the LDS Church. Many many have come to read about David or Brooke and have continued on to read many more of my articles about Mormonism. If David and Brooke can be missionaries like this, in bring truth and goodness to more people because they have found out they are Mormons - I would imagine that they are most happy about this. If you have not read this article that I am giving a link for, perhaps this will better help you understand just what is going on right now with sharing the Gospel online. Personally, if I was 'famous' or if I have a voice to speak something... first and foremost I would want people to know that if there is anything worthy or of good report or praiseworthy about me... that it comes from the teachings of the Gospel of Jesus Christ. I believe that this is called 'standing for something'. David is music from inside and out. He seems like a very wholesome person...and sometimes you CAN tell by the eyes...by just looking. and listening. I just love his voice. I hope he does well and he's got my vote every week. I love it I believe it....but I think its important to let people speak for themselves and let's just enjoy David and Brookes talent. I mean, really Nana....it's like me enjoying someone's roast beef and then a person at the table leans over and says He's a Baptist preacher you know. duh, ok. Still a good roast beef, or am I not supposed to like it now...does it enhance the flavor or take away? Im just not in favor of all this hype over he's this or hes that...let him speak for himself....and leave the investigators to the teachers. k? 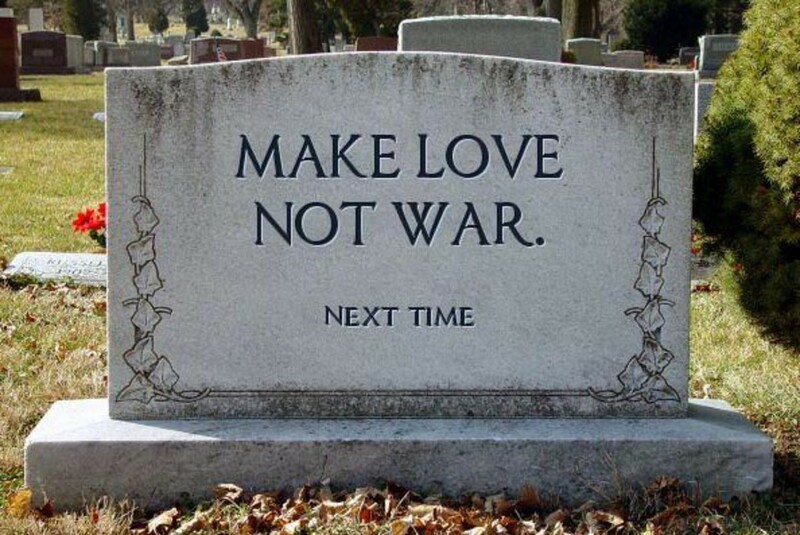 well that's my opinion....first rule: Do No Harm. ya know? Thanks for reading my Hub. David Archuleta continues to do well on American Idol. I myself, enjoy also watching him and really hope he does well. No matter, he is going far with his talents regardless of the outcome on AI. Thanks for your great comment about Mormons and our Christianity. Also, yes - David did so great last night. Smokey Mountain Memories was awesome. I think that it will keep him in the front. I do not care what his religion is! This kid has an amazing voice! He picked a beautiful song too. I love hearing him sing! Mikaela- Just a quick comment. If you are Mormon you are also a Christian. The two are not mutually exclusive. You defined being a Christian as believing that Jesus died on the cross for our sins, which is also the belief of Mormons as well as Catholics, Lutherans, Protestants, Episicopalians, Baptists, Penticostals and others. The other aspects and dogmas that these religions believe in are what seperates them. The term Christianity is all encompassing including all who believe in Jesus Christ and his teachings. i think david is a mormon but he should be a christain. cuz that is the only way to get to heaven, by believing in your heart that Jesus is Lord and he died on the cross for EVERYBODYS sins. cuz everyone sins every day. i know that i sure sin. ALOT!!!!! but Jesus can forgive your sins if you pray and really meen it. if whoever reads this wants to ask Jesus in your heart you can always call someone you know that is a christian. and if you want to go to a great chruch here is some of my sugjestions, METRO CALVARY, roseville,ca, 95747, 9089 foothills blvd.suite 900. here is thiere e-mail adress www.metrocalvary.org. here is the times to come SUNDAY MORNINGS SERVICE@METRO 10:00 am. MONDAY NIGHT@METRO 7:00pm. and you can always can go ask Richard our pasture to pray with you and if you don't like to dress up you don't have to cuz not alot of people do!! well please come i would love to see a new face. and so would everyone else!! !JESUS LOVES U!!!! here is some bible verses you can look up JOHN 3:16 ROMANS 3:23 GENESIS 1:1. bye and remember JESUS LOVES TOU SO SO MUCH!!! David is definitely a Mormon. This is not speculation. Perhaps David was referring to the kinds of weird questions he gets, because he is a Mormon? Remember too, that David is just barely 17. His answers are not always complete at this point when being interviewed. I saw him interviewed about a week ago... he smiled a lot and laughed a lot! Typical teenage fair! But - David Archuleta is a Mormon. You can be sure on this. P.S. and maybe.... David just thinks the whole question about him being a Mormon is weird? I don't think David A is a mormon. One of his singing influences is Kirk Franklin and in an interview, he said that weird questions he gets is if he's a mormon. If he is a mormon, why would he think that question is weird?? It is too bad when people must find even the smallest things, to point out that perhaps somethings is wrong with a person. P.S. I could really use someone like you as my fan:-) Consider joining my fanclub... really friends! That whole commentary about 'Imagine', and David's verse choice is SO played out! (almost 2 months ago). Just to let you and anyone else as mis-informed as you know, David sang 'Imagine' on a local TV show a few years agao and sang ALL of the verses. Yes, that includes the verse containing the phrase 'no religion'. Thank you for such an enthusiastic and awesome comment! Both David and Brooke are lucky to have people like you, who recognize how much that light that both of them do have - means to those around them. I love reading all the comments. I love David A. and Brooke W. They have talents dude!!! i'm an avid fan of AI. I love both of them. They are a shining example of goodness and humility. LDS should shine to set good examples to the worl especially in the showbiz or singing industry where morals are deteriorating! Perhaps you are not aware that the contestants on American Idol must take whatever song they choose and whittle it down to about a minute and a half. I think to infer that David Archuleta &quot;refused&quot; to sing the first verse of a song, and parallel this with anything having to do with Mormonism is another example of many who would distort Mormonism and its teachings in general, from whatever angle possible. A bit of a stretch, eh? &quot;Imagine&quot; singing one of your favorite songs but you won't sing the first verse? Could it be the &quot;no religion&quot; comment? Apparently David thinks the entire country is as gullible as the typical Mormon. I really do appreciate your thoughts about Mormonism and American Idol... heck, why should it matter? I think one of the reasons I am discussing this, is the fact that - IF someone who happens to be a Mormon is also - or becomes famous... it does seem to matter. So the fact that it does matter to "some" is worth talking about. 1. When people know a famous person just happens to be a "Mormon"... what then happens IF that person does a thing contrary to what the general public knows to be "Morminish"? Like maybe... break a "rule"? Ohhhhhh? 2. Is the fact that this person who is Mormon - could their Mormonism be part of what is giving them fame? Hmmm? Brooke blew her song last week... critic reports are reporting. But, somehow they still LOVE Brooke:-) Is it Brooke only or what Brooke has represented about herself (which is Mormon) the reason they have fallen in love with? All three judges are in love with Brooke the person... they have all use words to describe her like; worthy, pure, wholesome, etc... Honestly, these sound like good ways to describe many good LDS girls. What other girls are described like this in today's world? And now, because Brooke has shared with all of us that she is Mormon, would accepting an invitation to the dark side make you feel less trusting of Mormons in the future and what they claim to believe? Does Brooke or David's Mormonism matter... Actually because of their fame right now - I must say that it does. The same thing happened with David Archuleta the week before.... same story as Brooke's. Really, though... it is the future that either of them choose - and how they live, that will determine HOW their Mormonism is seen - and that is why their religion in this competition and throughout their public lives will matter. ok really why do people care so much whether these kids are mormon or not.... im mormon too and people around me dont care. Im proud of these kids that stand up and sing in front of everybody it takes a lot of guts to do what they do and religion should stay out of it. David and Brooke are good and thats all that matters. Wow.... what a name! LOL I guess there really is a lot in a name! &quot;Archuadorable&quot; I love this! Did you come up with that one? I will most definitely work that description of David in some where. Actually, after David's performance last night, the way in which he just stood there and received the compliments from each Judge... well - that was &quot;ARCHUADORABLE&quot; to me and my hubby. Now, that was truly Archuadorable! Pure David Archuleta! I have been a fan of David's since the &quot;Star Search Days&quot; and am thrilled that he is on Idol and I hope he wins. I think that fame and noteriety brings with it a lot of negative aspects, but from what I've seen of Archuadorable I believe that his morality and humility will remain strong, and he can only be a stellar example amongst an ever increasing group of famous young people who have lost their way. Go Davey! You want to know what I think right now... I am thinking that last weeks forgetting of the words, was brilliant! David may have been peaking too fast and simply forgetting no-brainer words, does not necessarily hurt David right now, but just causes people to focus on those that did not. But, if I were David Archuleta's manager.... I would say THAT was a brilliant move to slow things down a bit for David. Alert: Hurricane David on course to becoming a category FIVE! Horrors, watch out an Australian interloper in starting to nasrrow the odds. She becomes an All Black. then reverts after to an Australian. I will be like your next Presidential Reform, make the big decision latter. I do not realy care, but it is fun. Idol is back on... gotta watch! My money is on Archuleta. I think he's in a class by himself. I am with your comments 100%! Thanks for commenting and joining in the fun! I am not Mormon, but I am still in love with David's voice and personality (not to mention his cuteness, haha). David is an awesome guy, and he IS the next American Idol!! Mormon or not, he's one of my faves to win it! But couldn't you just pinch those adorable cheeks? Yes, I think if we pull together like we know how... David stands a very good chance of becoming the next American Idol! Everyone wants to know the little things about him, so if you have anything kind of fun, let us know! As I stated in my response to CFPerez above, I also feel that their &quot;religion&quot; so to speak is not necessarily what I am watching or even asking you to investigate. But it is their loyalty to values, standards and teachings that do come from their Mormonism. Those must have deeper roots to abide today than a trend of some kind. So it has to be their ability to practice the religion that they have been taught - which we might want to look at? I do. I have raised five children. Still having a 16 year old son at home. I understand what drives these young LDS teens in their commitment to maintain these kinds of high moral values in the face of such an opposing world today. As I stated earlier... these young people are not sheep blindly following their parents along the way. No. These are young people who actually KNOW why they are keeping the commandments and they also KNOW WHY doing so, will then and IS a blessing in their lives. I love that their standards and morality have foundations in important doctrine.... and not of &quot;men&quot;. Yes, religion can be practical and I love that about the Mormon Church, but that is not where my testimony comes from. so very intriquing to me... and I hope that others will ask these questions of WHY? I have been wondering if David is LDS. I live about 20 minutes away from him and am totally bowled over by him ... even though I'm 47 years old. Man, what a VOICE! I say &quot;C'MON MORMONS EVERYWHERE! LET'S ALL GET BUSY AND SHOW OUR SUPPORT FOR BOTH DAVID AND BROOKE! I VOTED 30 TIMES IN 10 MINUTES SO IT CAN BE DONE! Let's show this Nation what a good Mormon American Idol can be like!!! D.J. JohnsonThee Ultimate BYU Cougar Fan!!! I'm really excited for him. He has a fabulous voice and I hope he finds a good carreer from music. I hope he wins because I very much enjoyed listening to him sing. What does his religious affliation have to do with it? I guess if we are believers in a moral center of any kind, that's wonderful, but it is something to be demonstrated by our life choices not by a PR operation. He's sixteen. I agree with some of the comments. I would not deride you for sticking with your faith. I believe you are entitled to vote and say what you believe. Not worry about what others have to say. Lasdt Tuesday at a cricket match we had a streaker run out on the field. I would rather listen to your Mormon Singer, I have not heard him, than see the mindless cretin who thinks he is funny. We have Australian Idol for the last four years. Two years ago won by a young lasdy and has been heard since. See was a misfit. Yesterday one of the &quot;Judges&quot; departed from next year. I will not be watching anymore. As I mentioned above... did you notice just how and why David Archuleta defended his song choice that Simon Cowell attempted to claim was BORING.... Now that was a black and blue response for David - a knock out response! I would love to see how the Indonesian American Idol is going and HOPE that whoever is doing well talent-wise is also someone that people can see goodness in.... not perfection, but goodness with reason behind it. I loved that David stood up to the Judges and told them WHY he chose the song that he did! All I can say is WOW! I just hope that he is able to withstand the heat that comes with fame. He is so sweet, it would be a shame to see him become worldly and loose his way. Young people, like Brooke and David, who choose to enter the spotlight are typically very aware of how much more attention they will get because of their religious affiliation. Let's face it, if they were of virtually any other faith, no one would ask or even care. LDS youth that enter the spotlight are answering a divine calling to share their talents. That doesn't mean that they will have an easy ride, usually it is quite the opposite, as opposition tightens his focus in and attempt to lead them astray. I think that we, as members of the Church of Jesus Christ of Latter Day Saints, have a responsibility to share with the world the truth about &quot;Mormon values&quot; so that when things get twisted by the mis-informed, there are sources of truth to balance out the score. You too are answering a divine calling to teach and raise you voice in support. Well done, keep up the good work. It is great seeing a youngman standing in front of Ryan,Paula and Randy and &quot;beat&quot; them black and blue with his talent. It is God gift.But you make it very great in your hub.It is awesome...,do you think America always the best? ?How about my country Indonesia do you think our Indonesia Idol coul not compete to yours?? Thank you... I will add more videos from the fans as well as report on this weeks idol as it happens - and find out some interesting facts about David Archuleta. But, do tell what you know too... because I am learning myself! As you know.... I am partial to David too. Oh my goodness.... that baby is beautiful! Again, congratulations! Precisely! What great comments you have made:-) Thank you for introducing this discussion, because values and morality are not about &quot;a&quot; religion, but they are about people or individuals that practice these morals and values. What is it that causes, in particular young people - to have a desire to adhere or stick to - what we might consider strong moral values and standards of chastity? From a Mormon perspective, there is deep doctrines behind the keeping of these standards that are taught within the Mormon Church. I am personally not familiar with the &quot;why&quot; for Muslim, Hindus, etc... that they are compelled to &quot;keep&quot; such strict standards of morality themselves. Because - from a very personal perspective and experience of raising five children in the Mormon Church - sorry - because mom and dad said so - does not work! It must come from a much deeper place - especially today when the trends of teens are so extremely promiscuous. I happen to be a Mormon, and therefore am only engaged in writing about David Archuleta or Brooke White, from a Mormon's perspective and noting that I am &quot;watching&quot; them - means exactly that - their Mormonism! I expect that in such a visual circumstance that these young people now find themselves in.... the &quot;why&quot; of their values and standards is going to be very closely watched. Facts are... when a &quot;Mormon&quot; enters the public arena - they are immediately under the microscope - because of &quot;what&quot; the LDS Church teaches. I am sorry if this potentially is offensive to some - and I am not saying this is right - in fact, I am so glad - that one of my own children are not under such scrutiny. But... they found their roots and now are flourishing as adults:-) I expect to watch both Brooke and David in this American Idol Contest from a very careful perspective. I hope they are able to go out and just be who they are! The fact that they are Mormons - although perhaps should not make a difference -- it does, at least to people who wonder or question how or even why, these young &quot;stick&quot; to what they have been taught. I admit it! I have a soft-spot for these LDS youth - who continually amaze me and I happen to love to notice young people for great behavior. Young people who have strong morals and know why they choose to keep and live by them -- in the face of our world today! He's my pick to win right now. I love to see such great young talent. Good for him! It will be fun watching this season. Drop by my page and say hi if you get time. Nice job! every time , a moment ,I listen to your songs it was always make my tear come down with joy and make me forgot my past &quot; Kiling Feild of Cambodia&quot;you are so good David! every things about you are so wonderful .you are winer ! He is such a good singer. He has soo much talent and at such a young age. Plus he's soo HOT!